So how do you get started? First off, all of our quotes are bespoke and tailored to suit your exact needs. So we will sit down with you first to really understand your business. Then we will take you through our online quoting system step by step. Letting you choose only the services you actually need and more importantly, want. 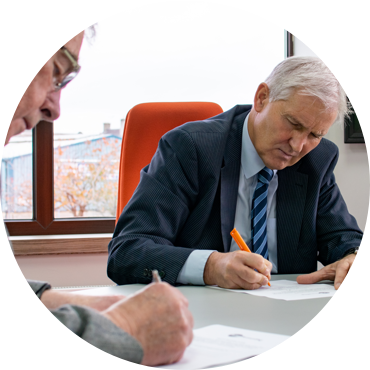 Next we provide you with a letter of engagement, giving you a clear indication of what we will provide and how we will provide it. Because we believe wholly in transparency and we don’t doubt our services for a second. Why use Total Accounting ? Why choose us? Because we offer a service unlike the rest. We’re specialists in our field, we offer hands on business advice and we work on a consultancy basis. We’re always at the end of the phone to answer your questions and we won’t palm you off if we don’t have an answer. We will go and find the answer for you. We love numbers but we won’t treat you like one. We only work with reputable & established companies so we can offer a level of care like no other. We take a vested interest in your business because we want to help you to grow it. So much so that we recently reduced our client base from 300 down to 220. Why? Because we believe that in order to give the best service possible, it should be about quality over quantity. It might sound silly for an accountancy firm, but money isn’t what’s important to us. Every client is treated the same and receives the same level of service, regardless of budget. So why become our client? The clue is in our name. We take care of everything. We look after the sum ‘Total’ of your finances. We’ll look after all of your internal accounts and we’ll come to you for your quarterly board meetings. We’ll always answer the phone when you have any questions and we’ll make sure that you always, always speak with a human. Not based in Scotland? We’ll get on a plane. Don’t have the time to meet? Then we’ll Skype. Whatever you need from your accountant we can provide it for you. Along with a whole lot more.